- Fully lined, with an invisible rear zip. - Fully lined, with concealed left side zip. 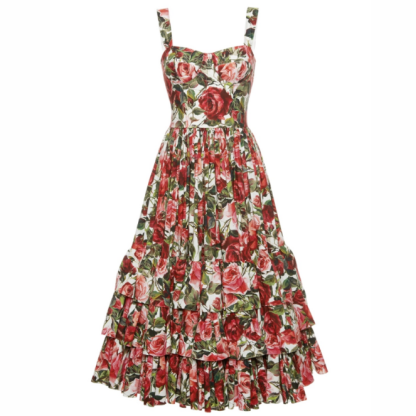 The Send Me A Postcard Dress has been printed with painterly roses in a midi dress design. The puff sleeves and ruching create a feminine tea dress shape however, you can also wear these sleeves off the shoulder to reveal your dcolletage. Its a must have for garden parties and summer weddings.